Every week, the local hospital where I volunteer as a reiki practitioner holds a workshop for a support group for victims of trauma. Recently, the subject of a workshop was the healing art of reiki. Twenty members of the support group were in attendance. My reiki boss, Rosanne, opened the session by explaining what reiki is and how practitioners treat someone who has pain and stress. I served as the subject as Rosanne gave a demonstration with me sitting in a chair. The audience sat at tables surrounding us in a horseshoe arrangement. Rosanne asked me earlier if I would conduct a reiki circle with the group. When the demonstration was over, I told her I would take it from there and asked her to have a seat. Another reiki volunteer was on hand, so three of us were now available to jointly conduct the reiki circle. I stood in in the center of the circle (actually it was a horseshoe) and explained to the group what was going to happen in the reiki circle. I described how giving a reiki treatment is similar to throwing a light switch in a darkened room: The switch completes an electrical circuit and the light goes on. Similarly, when a reiki practitioner touches a subject, the the natural reiki energy in the the practitioner’s body flows into the subject’s body and causes the subject’s reiki energy to flow. Like the electrical circuit, reiki energy completes a circuit and breaks through any pain or stress barriers the subject has, restoring wellness. I had everyone in the group hold a neighbor’s hand. This was the first step in completing the circuit. Then I conducted a meditation out loud to focus everyone’s attention. I asked the group members to indicate if anyone wanted us to make contact with their bodies to alleviate pain or stress. Several did so. The other two reiki masters and I in the room stepped behind these people and placed our hands on critical points on their bodies that were accessible in their sitting positions. These included the crown of the head, forehead, throat, chest, and shoulders. After a brief time, I concluded the reiki circle and debriefed the group. What happened was remarkable, but not unexpected. They were amazed how reiki energy had reduced their stress, and in some cases, their pain. They all agreed that they wanted us to come back next year! 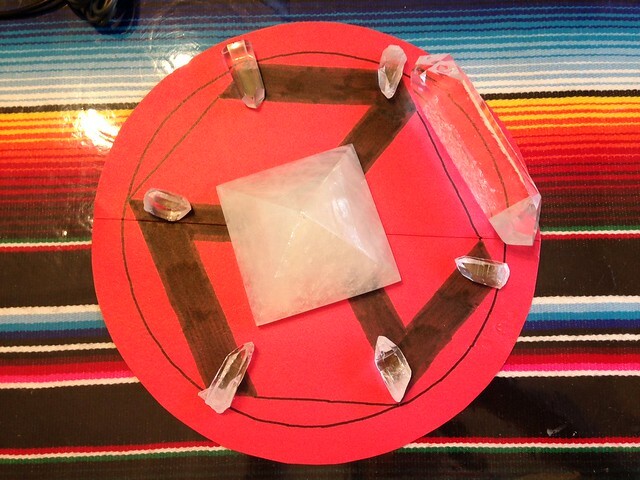 This is the only way to conduct a reiki circle. Another reiki master friend of mine told me that she led a reiki circle once in which everyone in the circle focused their energy on one person who was having severe pain and stress. Every week, the local hospital where I volunteer as a reiki practitioner holds a workshop for a support group for victims of trauma. Every week, the local hospital where I volunteer as a reiki practitioner holds a workshop for a support group for victims of trauma. This is certainly an effective way of conducting a reiki circle. I chose the technique I used with the trauma support group because everyone there was dealing with severe pain and stress. Also, I wanted as many as possible to benefit from the experience.